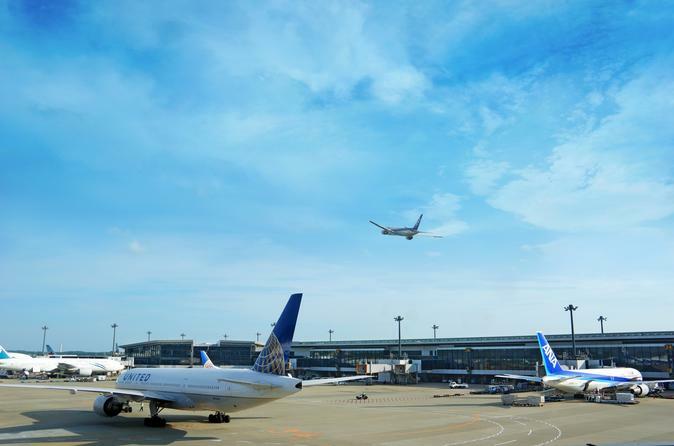 · You can move fast between Narita Airport and Tokyo, stress free. · You can move between Narita Airport and Tokyo in only 20 minutes. · You can enjoy it as a sightseeing tour for 20 minutes. This is a Helicopter shuttle service between Narita International Airport and Tokyo. You can move between Narita Airport and Tokyo in just 20 minutes. It can take about 2 hours if it is a car or bus, in 20 minutes if it is a helicopter! Train in Tokyo are quite complicated. It is quite tough to hold a big baggage and head for Tokyo Narita Airport. (The way back is also same.) When you move by car, or taxi, bus, you will be caught in a traffic jam and you will be deprived of the time of your precious trip. The only way to solve your problem is helicopter transfer.We connect Narita Airport with Tokyo within only 20 minutes. ※We keep it in advance and deliver it to a Hotel or an Airport.